With support from the Seattle Department of Neighborhoods, ISI sponsored a community-driven alley design process and hired engineers and architects to create an alley design that speaks to the area’s history, makes alleys accessible to everyone, and creates an easy-to-maintain surface. A lighting plan gives property owners aesthetically pleasing, energy efficient LEDS. In 2015 overhead string lights were installed in Pioneer Passage. The lights now connect the alley across Occidental Park to the Nord Alley light installation. In 2016, at least one alley will receive a new surface. The new paving comes with a big economic benefit to the neighborhood. Outdated utilities fail to serve the neighborhood’s new businesses with enough electrical and fiber optic service. The new surface design removes a major hurdle to updating the utilities by providing a cost-effective template that meets both the standards of the Historic Board and the local department of transportation. ALLEY DESIGN – The Pioneer Square Preservation Board recommended applying the new alley surface design to Pioneer Square alleys. The design improves pedestrian mobility and provides opportunities for commercial activities. 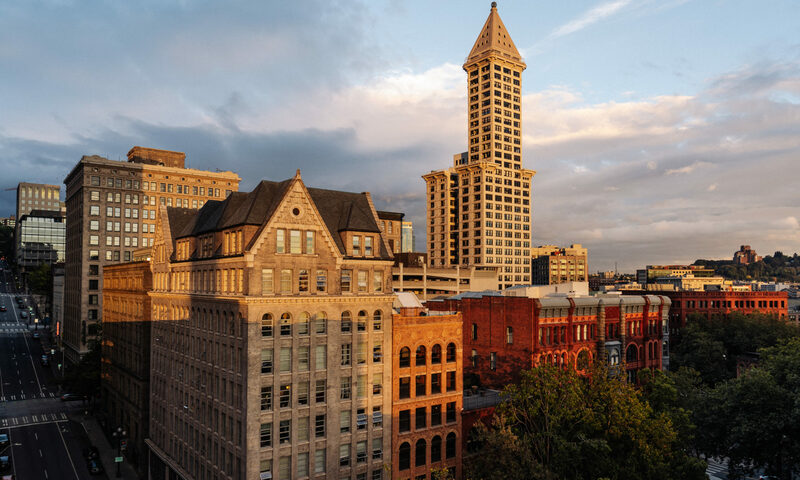 For information on the design, please download the Pioneer Square Alley Design Manual. ALLEY LIGHTING – Lighting on alley doors, windows or even hanging across buildings helps illuminate alleys and creates safe and inviting routes. For more information, download the Pioneer Square Alley Lighting Guidelines or learn how one Pioneer Square business installed new alley lights. For more information on installing lights, improving alley facades or resurfacing Pioneer Square alleys, contact liz@pioneersquare.org. 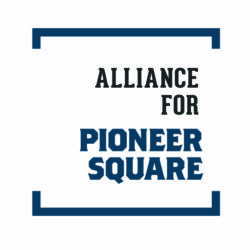 For further information, see the Pioneer Square Preservation Board website.